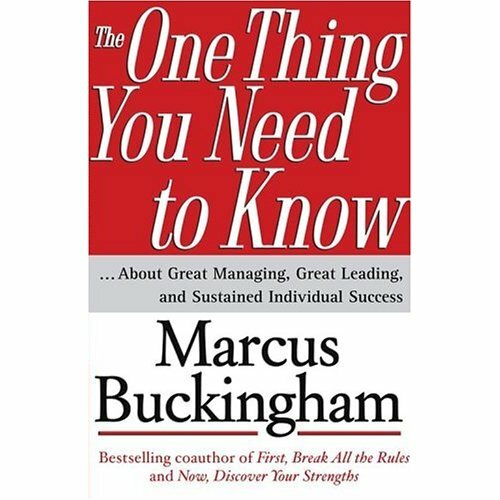 As a social science researcher and an esteemed business consultant, Marcus Buckingham (First, Break All the Rules and Now, Discover Your Strengths) has spent considerable time studying the big picture. This wide-angle approach led him to an unexpectedly narrow conclusion: There is a core concept to even the most complex topic. What he has discovered in The One Thing You Need to Know is that single "controlling insights" exist for a whole range of situations, and when properly applied, can encourage exponential improvement and lead to precise action and results. In applying this concept to managing, leading, and individual performance he has pinpointed the single element necessary for achieving success in each of these three key positions.